December 7 was an emotional and historic day for us: our 20th commencement ceremony! With this 2012 graduating class, we now have more than 1,700 alumni cultivating well-being in their countries and around the world. Since our first graduation, we have grown from a regional institution with students from just eight countries, to an international university with students and alumni from more than 30 countries in the Americas, Africa, Asia and Europe. It is thanks to you, our supporters and donors, that EARTH has achieved this milestone. Through our alumni we (you and EARTH) are improving social, environmental and economic conditions in the tropics and beyond.One of many examples of this contribution is the work of EARTH graduates, Gustavo Manrique and José Javier Guarderas (’96, Ecuador), who this past October engaged more than 100,000 young Ecuadorians in a Guinness World Record-setting recycling and environmental awareness campaign (read more in our News Briefs section). Your gift to EARTH is a gift to the Earth and cultivates a more sustainable, just and prosperous world. 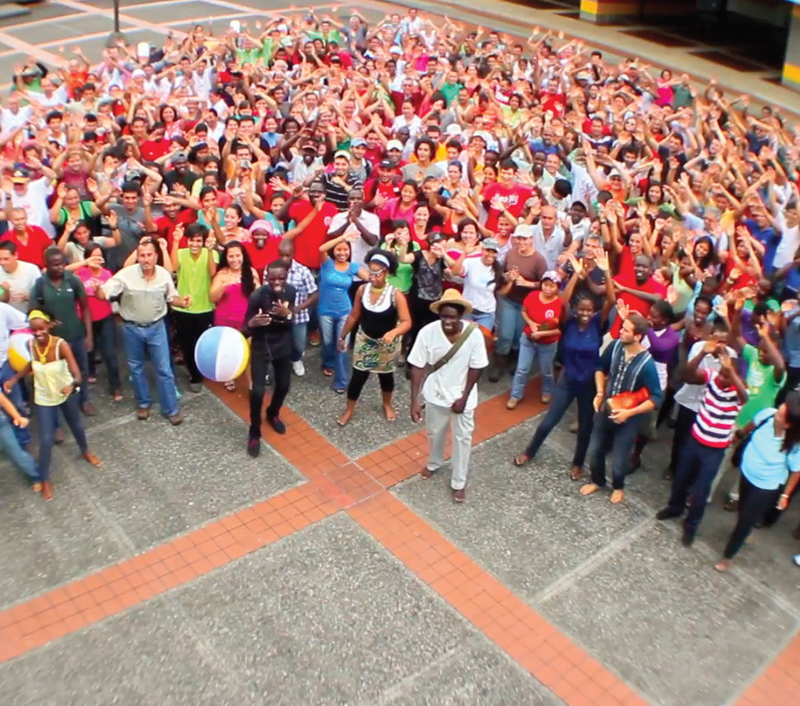 To express our appreciation, our students, faculty and staff wanted to share with you the feelings of the holidays through a one-of-a-kind music video with an original song written and performed by a student African-Reggae-Caribbean band called Tribu. Join us at www.earth. ac.cr and experience the joy of the holidays at EARTH. We warmly thank you for your support during the year, and we wish you and yours very happy holidays. Just as a fabric woven with many threads is stronger than a single strand, shared dreams better endure the test of time. Aparicio Acosta Mendoza (‘12, Panama) understands this well. With his degree in hand and many ideas in mind, he is ready to enhance people’s lives in Chiriquí, the indigenous Ngöbe Buglé community where he grew up. 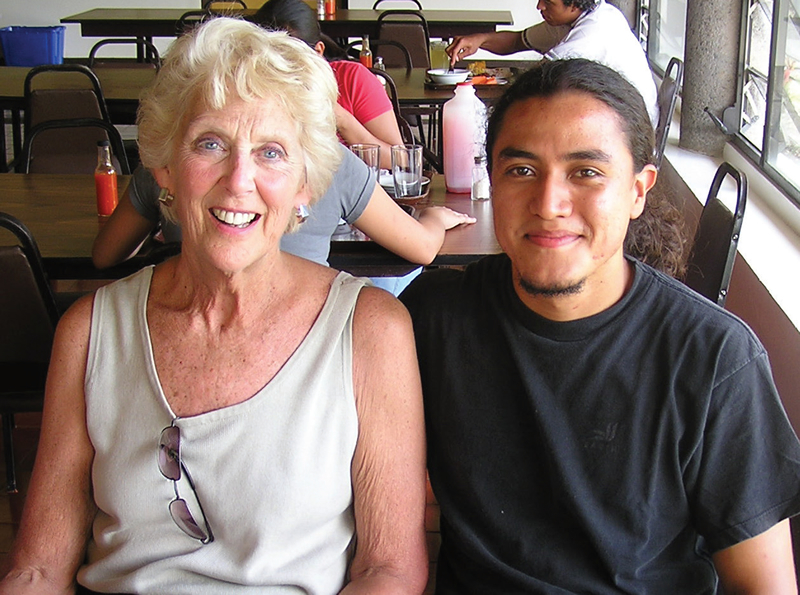 Aparicio came to EARTH four years ago, thanks to a scholarship from Panama’s Ministry of Economy and Finance (MEF). Aparicio’s capacity as a leader of change now allows him to return to Panama with the knowledge and energy to advise the small-scale farmers in his community and help them put their entrepreneurial plans into practice. These families will also have a better quality of life, with electricity, more comfortable homes and innovative techniques to sustainably develop the subsistence agriculture they have practiced for years. For his graduation, Aparicio’s mother, uncle and cousin travelled to EARTH’s campus. It was their first time leaving Panamanian soil. They are thankful for the scholarship that gave Aparicio the opportunity to study and enormously proud of his achievements. He is not only the first in his family to attend university, but he is also one of only two graduates of his technical agricultural high school to study at a university level and the only one in his class to have received a scholarship. 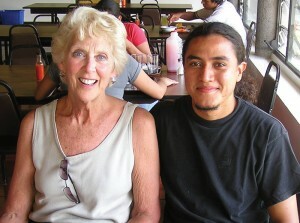 Empowering a young person like Aparicio is perhaps the greatest investment we can make in our future. 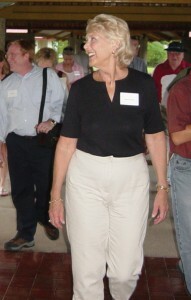 Visit https://www.earth.ac.cr/support-earth to give to the EARTH Opportunity Scholarship Fund today. As the holidays bring the year to a close, “There’s a feeling in the air / This feeling is everywhere / Season comes, season goes,” sings Tribu, the African-Reggae-Caribbean band created by EARTH University students. The group formed two years ago, bringing together voices and music from around the world. These musicians are students of agronomy who see and feel the powerful connection between their art and agriculture. As a token of gratitude for your generous donations and unfailing support and encouragement, we are excited to share the gift of their first recorded song, “Christmas Feelings.” To you and your loved ones, “From the depth of our heart, we wish you a very Happy Christmas” and holidays! Open here: www.earth.ac.cr/mygift. As polar ice caps melt, catastrophic hurricanes batter shorelines, and droughts destroy food crops, globe-trotting Deutsche Welle TV (DW-TV) reporters are visiting the imaginative people, ideas and projects dedicated to climate protection and adaptation. DWTV’s GLOBAL IDEAS is published in five languages and produced by an international team of authors, researchers and both TV and online reporters. For a feature that aired in late November, reporter Marion Huetter visited EARTH University. The segment features EARTH professor Bert Kohlmann and highlights EARTH’s work in solid waste management, carbon neutrality, renewable energy, soil conservation, sustainable banana farming and animal traction. In its October meeting, the EARTH University Board of Directors named recently-retired Cummins chairman and CEO, Tim Solso, as its Board president. He will succeed Costa Rican molecular biologist, Pedro León, who served in the position for the maximum two terms. “We are so pleased that Tim Solso, with his vast leadership experience and exemplary commitment to EARTH, has agreed to take on this critical role as the University embarks on a new strategic plan,” remarked León, who will continue to serve the board in a leadership capacity as Board secretary. Costa Rican entrepreneur and business leader, Alan Kelso, was named vice president. The positions will be held for two-year terms. 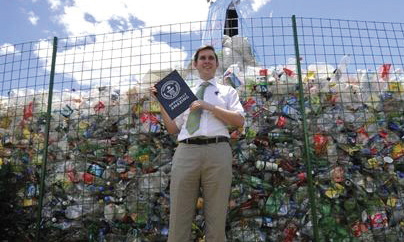 The International Environmental Summit for Kids (CIMA Kids) broke the Guinness World Record by collecting a staggering 1,559,002 plastic bottles in one month. Eight EARTH graduates, including Gustavo Manrique and José Javier Guarderas (’96, Ecuador), president and general manager, respectively, of Total Environmental Solutions (SAMBITO), helped organize CIMA Kids. The event took place October 24-28 at El Parque La Carolina in Quito, Ecuador, engaging more than 100,000 young Ecuadorians. There, visitors enjoyed meeting characters from the Nickelodeon channel, lectures, and several different hands-on activities to learn more about the environment. EARTH is proud of these alumni who, through their actions, demonstrate the purpose of the University: to lead change for a better planet. On February 13, please join us in Washington, D.C. for “One Night One EARTH,” a cocktail gala in support of EARTH. With the Organization of American States (OAS) as its venue, the evening will feature entertainment, refreshment and light dinner fare. The U.S. Agency for International Development will provide the event’s keynote speaker. EARTH is also grateful for the participation of Her Excellency Muni Figueres, Ambassador of Costa Rica, and His Excellency Edgar Ugalde, Permanent Representative of Costa Rica to the OAS, co-chairs of the event. 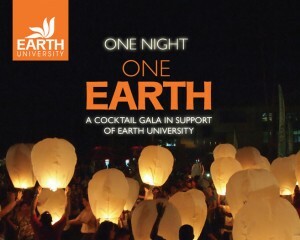 The event will begin at 6:00 P.M., and tickets and more information are available online at www.earth.ac.cr/onenightoneearth. For more news and stories visit: www.earth.ac.cr and follow us on Facebook.com/EARTHUniversity. Copyright © 2012 EARTH University, All rights reserved. His path hasn’t been easy. When Gino remembers his University days, he speaks with brio of “an environment of peace, love, and a lot of dynamism.” Nevertheless, while at EARTH, he faced an immense challenge. For his entrepreneurial project, Gino ran a banana plantlet nursery with several classmates. Despite the project’s initial promise, a flood in 1993 destroyed most farms’ crops in the Limón province that year, which resulted in the project’s closing with negative balances. The experience of managing a real-life disaster would prove invaluable. As a quality control specialist with one of his country’s biggest mango-exporting companies, Durexporta, he had the “gratifying” chance as a graduate to reinvent the company’s image in El Niño’s devastating wake, earning him greater responsibility overseeing quality on all of the company’s mango, banana, palmetto, cocoa and cattle farms. Gino moved on from Durexporta to pursue other projects, and in 2001, Dole recognized his leadership with the prize for Ecuador’s best banana producer. “It was like the Oscars!” he laughs, recalling the excitement he felt. The prestigious award highlights productivity, quality, social and environmental responsibility. 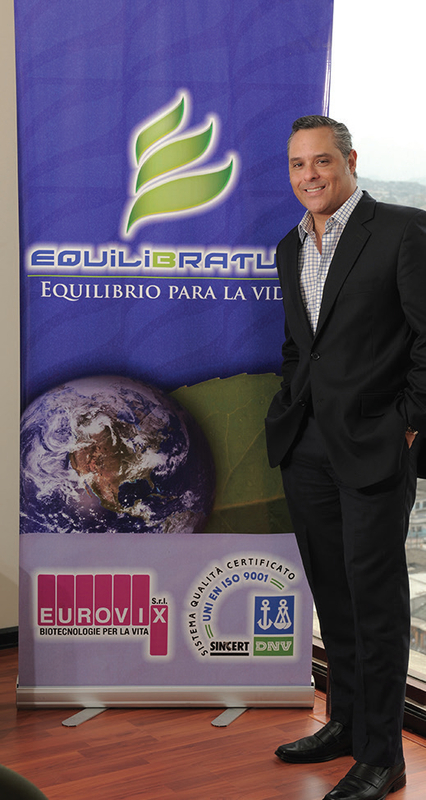 In 2005, he created his own business, Equilibratum, which today provides environmental consulting and management services, applied biotechnology to prevent and treat environmental contamination and landscaping services. The company now employs nearly 20 people. 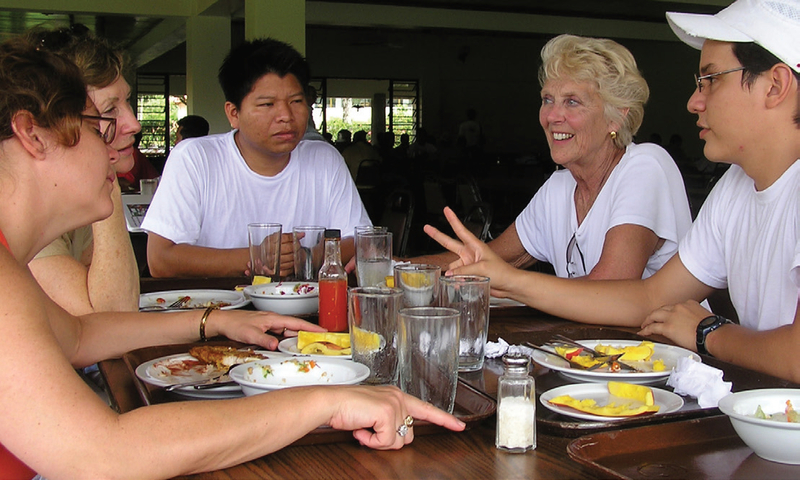 After spending two years off and on hearing [the late] Dr. Norman Brown, a founder of EARTH University and a member of the Americana Foundation Board, tell me of the exceptional university in Costa Rica, I was given the opportunity to visit. It only took one three-day visit, fully scheduled meetings with students, faculty and administrators for me to realize that here was a place that would indeed launch men and women who could change the world. I left Costa Rica completely committed to spreading the story of this unusual university. The students who exhibited the basic mission of EARTH: commitment to sustainable agriculture and systems, protection and stewardship of the environment, assurance that their lives will promote equity and social justice, and that their countries and communities can benefit from their entrepreneurship. They are the hope for a changed world. Each and every student I have spoken with over the past 12 years has told me that a powerful lesson they learned at EARTH is that our globe consists of multiple nations and communities, each with their own values and cultures, and that if we and our environment are to survive and prosper, we must learn how to work together. It is not an easy task but these students are a positive start toward that end. They and EARTH University’s staff and supporters make it seem more possible than ever.